Most women fear their 30th birthday -- and while it serves as a turning point, turning 30 doesn't have to be a bad thing. There's plenty to look forward to in your 30s, such as advancing in your career, being able to afford a house, and settling down with a partner. One significant change that women do make after turning 30 deals with their skincare routine. Though your 20s were all about banishing blackheads, your 30s are about preventing the signs of premature aging. In your 30s, your skin doesn't produce as much collagen and elastin due to dropping hormone levels. Cell turnover also becomes slower in your 30s, so your expression lines start to become more pronounced. You'll even notice subtle sagging and bagging. If you partied hard in your 20s and were a sun worshipper, you might notice fine lines start to appear around your eyes and frown lines become more visible. Your skin may also become either dry or oily. Because of slower cell turnover, you might experience adult acne. This is why you need to choose the right skincare products to combat these issues. 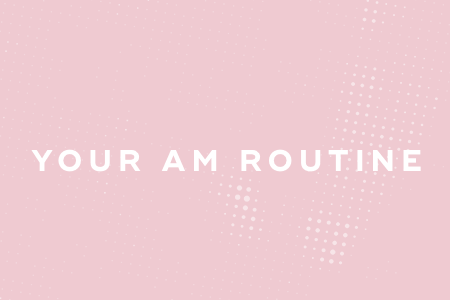 Here's your perfect AM skincare routine for combating premature aging in your 30s. Your skin renews itself as you're sleeping, eliminating toxins and debris. When you wake up, you should use micellar water to cleanse your face. It acts as a magnet to pick up sebum. Toners tighten pores, eliminate toxins, and rebalance your skin. In particular, toners that contain antioxidants rebalance your skin's PH level to 5.5 for optimal skin health. Toners also prep your skin for serums and moisturizers, making them work more effectively. When it comes to delivering ingredients deep within your dermis, you should choose serums over moisturizers. Since you're more susceptible to hyperpigmentation in your 30s, you should use a serum that contains antioxidants such as vitamins C, B, and E, and ferulic acid, all of which break down existing damage and protect skin from new damage. 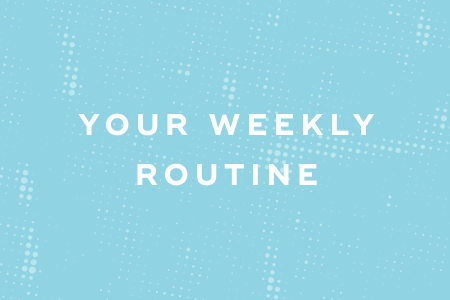 Follow this nighttime skincare routine to put your best face forward in the morning. Incorporate a salicylic-based face wash into your nighttime skincare routine at least three times a week. It'll help break down dead skin cells without causing micro tears. On the other days, use a gentle cleanser that's hypoallergenic. The goal of a night cream is to support your skin while it regenerates itself. This happens during sleep. Incorporate retinoids into your nighttime ritual, which help to stimulate collagen production and thicken skin. Because the skin around your eyes is so delicate, it's the first place to show early signs of aging. Eye creams are specifically designed for the area around your eyes, so you should use one on a regular basis. 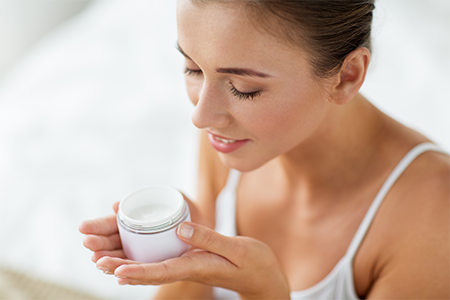 Look for eye creams that contain hyaluronic acid -- it helps to hydrate and plump skin. 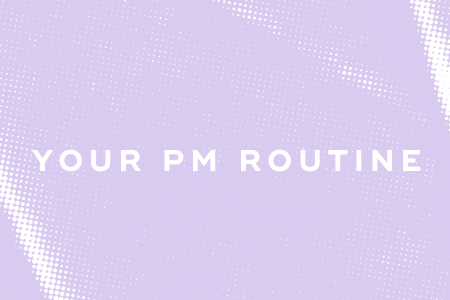 In addition to following an AM and PM skincare routine, you should also incorporate these things into your weekly skincare routine. In your 30s, you should amp up your exfoliation regimen to boost cell turnover. Use a chemical exfoliator twice a week to keep your skin fresh and bright. Once a week use a hydrating mask to relieve dry, itchy skin. Masks are faster, gentler, and more effective than ever before, so incorporate hydrating face masks into your skincare routine. Even if you're afraid to turn 30, there's really nothing to fear. Your 30s are a whole new and exciting chapter in your life. To maintain your youthful looks, merely follow the skincare routine above -- remember to use skincare products that actively target the signs of premature aging. "The Best Skincare Routine for Your 30s," Allure, January 17, 2018. "Skincare Through The Ages," Sephora, n.d.
"This is The Best Skincare to Use in Your 30s to Stave Off Wrinkles," Women's Health, November 10, 2017.